Oxfordshire (abbreviated Oxon) is a county in South East England bordering on Warwickshire to the north-north west, Northamptonshire to the north-north east, Buckinghamshire to the east, Berkshire to the south, Wiltshire to the southwest and Gloucestershire to the west. The highest point is White Horse Hill, in the Vale of White Horse, reaching 216 metres (856 feet). Its main city is Oxford the home of the University of Oxford. Other main towns are Banbury, Bicester, Kidlington, Chipping Norton, Carterton, Witney, Thame, Chinnor, Abingdon, Wantage, Didcot, Wallingford and Henley-on-Thames. 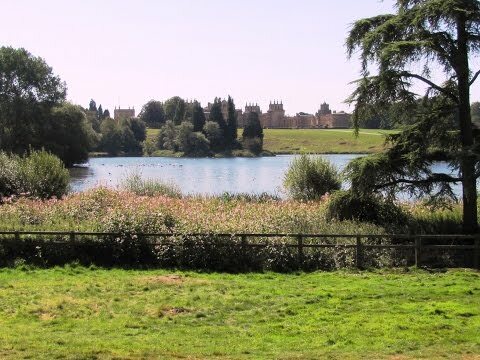 There is much to do in Oxfordshire with activities such as country walks, cycling, sailing and punting and also many places to visit such as churches, historical buildings and in the Oxfordshire Cotswolds some wonderful idyllic villages. There are many TV and film locations, you can follow in the footsteps of Harry Potter or visit the locations of Downton Abbey. Bampton doubles as the fictional village of Downton. The Swan Inn at Swinbrook, Cogges close to Witney and Shilton a picturesque village near Burford have also been used in the filming of Downton Abbey. There are a number of companies offering Downton Abbey themed tours. Woodstock is a market town about 8 miles north west of Oxford. The River Glyme that flows through a steep valley divides the town into New and Old Woodstock. The town has two main suburbs Hensington to the south and east of the town centre and Old Woodstock to the north. The town hall was built in 1766 and the almshouses were built in 1798 on behalf of Caroline, duchess of Marlborough. Chaucer’s House was once home to Chancellor of England, Thomas Chaucer, thought to be the son of the poet Geoffrey Chaucer. Fletcher’s House, a large historic house, is home to the Oxfordshire Museum. There are also a number of 17th century buildings in the town centre. By 1720 Woodstock had a fine steelwork industry and by 1742 its products were of high enough quality to be considered viable discreet gifts. By the end of the 18th century this had developed into Cut Steel jewellery. The town from the 16th century also prospered in the making of gloves. In the 17th century the town was altered greatly when the 1st Duke of Marlborough became a permanent resident. Woodstock Palace was a popular residence with several English kings throughout the medieval period. The building was destroyed in the English Civil War and 60 years later the remains were cleared away for the building of Blenheim Palace. Princess Elizabeth was imprisoned for a year in a lodge in Woodstock as a precaution when Thomas Wyatt led an uprising in 1554 to depose Queen Mary I. The lodge was used because Woodstock Palace was in much decay. Today Woodstock is dependent on tourists many of whom visit Blenheim Palace. Blenheim Palace, a World Heritage Site, built between 1705 and 1722 was designed by John Vanbrugh and its landscaped park, designed by Lancelot “Capability” Brown. It was built by the nation and presented to John Churchill, the 1st Duke of Marlborough, in recognition of his victory in 1704 over French and Bavarian troops which decided the future of the empire and made him a figure of international importance. John Churchill is closely associated with Sir Winston Churchill who was born in Blenheim Palace and is buried at nearby Bladon. The palace is enclosed by an 18th century dry stone wall which defines its extent and maintains its original features. The buildings within the wall remain unaltered since their construction and the landscape park layout is still largely as set out by Vanbrugh and Brown. The buildings and park were laid out over an earlier Roman and medieval landscape, remnants of which are still visible. The property as a whole is designated as a Grade 1 registered Park and Garden. Forty five buildings on the site are Grade 1 and Grade 2 Listed Buildings. There are five scheduled ancient monuments within the park. The lakes and High Park are designated as Sites of Special Scientific Interest and the ancient woodland and hedgerows are both protected. Part of the property is within the Conservation Areas of Woodstock and Bladon and part is in the Cotswold’s Area of Outstanding Natural Beauty. The park is open through the year and the Palace and Formal Gardens are open from mid February to mid December each year. Wootton is a village on the River Glyme about 2 miles north of Woodstock and often referred to as Wootton-by-Woodstock to distinguish it from Wootton, Vale of white Horse. The small figure of eight village houses a local community store, a primary school and the Church of St Mary the Virgin. From the car park we turn right along Hensington Road to the main road, A44. We cross over this road and turn right towards Chipping Norton. Soon after passing a line of cottages called The Causeway we go through a pair of tall wooden gates marked 95 (this is a footpath). We go through the next gate on the left into Blenheim Park. We now turn right and follow the road as it winds through the park until we reach a second cattle grid. We turn right here, yellow arrow on the post, and follow the rough track to go through a gate to the left of a deserted farm. We bear slightly right and go through the hand gate and follow the yellow arrow through a small wood. We cross the field go through the gate and turn right then left to go through a wooden doorway. We bear right to the main road and cross over to take the little road opposite then right at the next junction signposted Bletchingdon. We head downhill for a short way and at the footpath sign on the right for Woodstock we turn left through the kissing gate. We head forward across the field to go through a gate. We head forward across the next field to go through a small gap in the hedge to the left of a large gap. In the third field we follow the hedge on our right to a track and turn left for a short way. At the house on our right we turn right through the hedge and follow the wall downhill to the road at Wootton. At the road we turn right then left over the bridge and follow the road bearing right through the village of Wootton to the Church. After a cup of tea and a look in the church we turn right past the War Memorial then left at the junction and follow the road round to the left. At the junction we turn right then right again onto Mill Lane to the bridge. We cross back over the bridge and take the bridleway on the left, Woodstock 2 miles. We head forward slightly uphill to go through a gate. We head forward past a house on the right then go through a gate into Long Meadow Local Nature Reserve. We continue to follow the path across the top of the reserve with the River Glyme down below passing a picnic table then an old tree bench. We gently descend to go through a gate then cross over a footbridge and turn right to a lane. When the lane bends to the left we go through a gate on the right and follow the yellow arrow across the field towards the houses and the road. We come out at a t-junction and turn right following the main road. We soon come to a bridleway on the right, Woodstock 1 mile. We follow the bridleway called Sansoms Lane into the trees. The path soon splits we bear left and keep heading forwards. Just before we meet the road we turn right at the yellow arrow across the field towards Woodstock. At the end of the field we pass between two gardens on a narrow path. We come out at Green Lane and follow the road round to the left and continue slightly uphill and turn left into Union Street and back to the car park on the left. This is an easy walk along grass and gravel footpaths and tracks, minor tarmac road and short distance on main road. There are some gradual inclines and declines. Elevation: approx lowest point 78.90m (258.86ft) approx highest point 146.10m (363.85ft) approx ascent 142.50m (467.52ft). Approx 6.5 miles allow 2½ – 3 hours using OS Explorer Map 180, Oxford Witney & Woodstock. This walk is done clockwise. Start point: Free car park in Hensington Road. Woodstock is in the Cotswolds, Oxfordshire. From the M40 take junction 9 onto the A34, Kidlington Oxford road. Then take the A44 and continue over a number of roundabouts into Woodstock. Just after the school turn right for the car park. Parking: Hensington Road and also at Blenheim Park, Woodstock, both are free.